NRF 2019: Retailers Talk Digital Transformation. What’s Your Plan? It’s an apocalypse no more. This year’s National Retail Federation Big Show in the Big Apple proved that retail is in an evolutionary period. Digital transformation remains on retailers’ minds as the anchor to a ubiquitous shopping experience. Retailers now want to think and act like software companies — with constant experimentation, agility, innovation, and, of course, transformation to meet the needs of their shoppers. 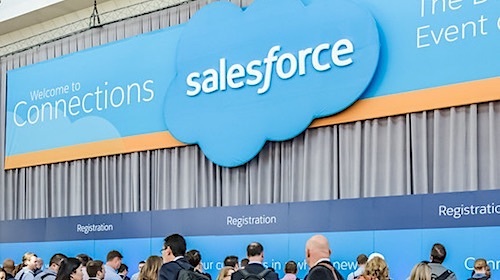 Throughout the conference, it was clear that while leading retailers and industry experts may have taken the mic, it was the customer that truly took center stage. Here are the top three takeaways from this year’s biggest show in retail. We are in a retail renaissance and stores have been revitalized. Legacy brands are finding ways to transform their physical footprints into what they will look like in the future. It’s no longer about a “stack them high, let ’em fly” mentality. The showroom is now an experiential opportunity that balances the art and science of the retail equation. Optimized inventory by location and demographic gives way to meaningful, memorable experiences that will mark the difference between converting a regular shopper and establishing an ongoing relationship with a brand-loyal customer. As we learned from the session “From Apocalypse to Relevance: What Draws Consumers to Physical Spaces in the Digital Age,” brands like Vans and Rapha have created full experiences in their stores separate from their products that make customers proud to rock their brands. Customers can go skating or see a concert at a Vans store, or grab a bite at a Rapha clubhouse. Store associates — our biggest brand ambassadors — must focus on the check-in process just as much as the check-out process to deliver on these experiences. 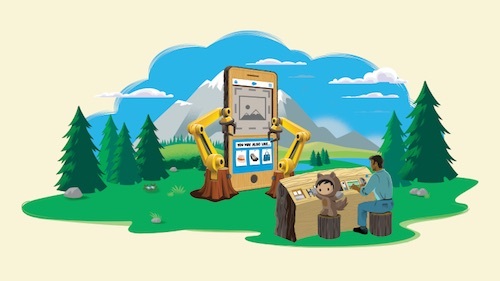 Personalized engagement and service from that first interaction are critical to bridge the digital and physical worlds and connect the entire shopping journey. We are also moving from a hub-and-spoke to a federated inventory model in which every store is a distribution center. This kind of model gives visibility to options such as buy online, pick-up in store, and endless aisle to fulfill inventory, satisfy customers, and sell at the right price. What do you stand for? Shoppers reward brands that connect them with products and experiences that resonate according to our Shopper First Retailing research. Retailers need to think about their products and the emotional connection customers have with them: How is your product going to impact your customer’s life? Then personalize the experience — and the product — for an individualized approach. 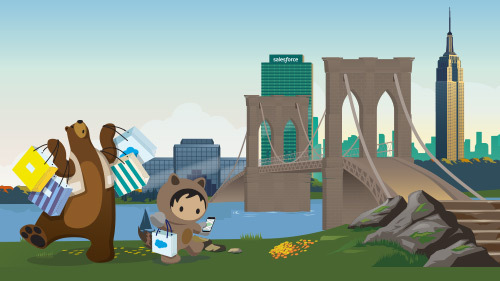 During our insights session, “Connect to Your Customers in a Whole New Way,” we explored how luxury retailer Shinola made it their mission to build lasting relationships with customers and deliver a seamless experience while staying true to their roots by giving back to their home city of Detroit. Shinola used Mulesoft to integrate third-party apps and create the Shinola Bot for customer service. Without having to tab through multiple screens, service agents are able to update customer profiles and add AI-powered product recommendations to deliver a personalized shopping experience. Marketing Cloud then kicks in with the right message at the right time post-purchase to increase customer lifetime value and build loyalty. We heard how retailers have a wealth of data — 39 different systems we uncovered last year — but it is a matter of how to use it. A better understanding of data unlocks and delivers offers and experiences based on individualized relationships. In the next three years, brands plan to employ nearly 50% more data scientists to help get a firmer grasp on their data. My time in the NRF Digital Council meeting underscored the gap between supply and demand for these valuable resources. Data is the way to get smarter about your customers to win at discounts, too. Discounts shouldn’t erode your brand — retailers must understand customer value and give loyalty appropriately, just as Shinola does to prompt rewards to their customers following purchase, giving a white-glove experience that builds loyalty and keeps them coming back. Margins disappear when coupons and discounts are continuously given to customers. Data will help you understand your shoppers’ behavior and ultimately win the game of “discount chicken.” Analysis of the recent holiday from our Shopping Index showed that shoppers that clicked on a product recommendation driven by artificial intelligence had a 14% higher average order value than those that didn’t. Which tells me that personalization, relevancy, and conveniences trump discounts. Data integrity was an incredibly hot topic during the conference, however. Retailers must treat customers as individuals to maintain trust and strike a balance between willingness and experience. It’s critical to understand who wants a more personalized approach and who may prefer to opt out and then adjust accordingly. Over the next year, we’ll see retailers continue to adjust to a customer-centric model that builds connection around every product. Authenticity will bring legacy brands back to the forefront — just as it did for Ashley Stewart when CEO James Rhee made kindness, community, and brand stewardship the way out of bankruptcy — and continue to differentiate newcomers. 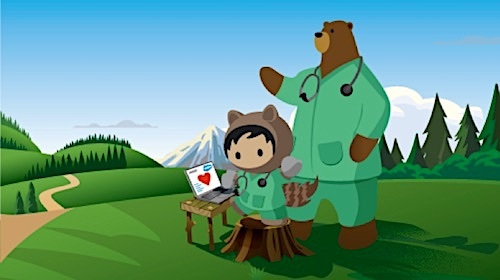 At Salesforce, we not only power brands, we empower everyone to help those in need. During NRF, we donated $1 to RetailROI for every #Garfie. If you missed me at the event, no worries. You can still give back by going to retailroi.org.